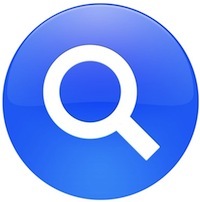 You can easily turn OS X’s wonderful Spotlight search engine into only an application launcher for Mac apps by adjusting the Spotlight search settings that are found within System Preferences. You can now this this out immediately by summoning Spotlight as usual with Command+Spacebar (or whatever other key command you have assigned to the Mac search feature). Now your Spotlight menu will only return Application and System Preference results when a search is made, making for a very quick and completely integrated application launcher. Of course, you can use Spotlight as an application launcher even with the other search category items selected, but your search results will be a bit more cluttered. I prefer leaving spotlight indexing everything and use Berokyo (http://www.berokyo.com) from Think, Code, Release to quickly access and launch my applications.